In 2003, Isuzu introduced their full-sized Ascender as a seven-seat SUV offering that provided significantly more room than the five-seat Trooper. The Ascender was based on GMC's Envoy, in large part because GM produced the Ascender with the Isuzu badge attached to the vehicles. The vehicle saw a significant change in 2005, when the company offered a smaller five-seat option for the Ascender. This option was introduced as a means to replace two other Isuzu vehicles, the Axiom and the Rodeo. 2005 also saw the introduction of what is known as a displacement on demand system for the Ascender's engine, which can be used to increase fuel economy. While 2005 saw substantial changes and the introduction of new options for Isuzu customers, the vehicle's production ceased relatively shortly afterward. In 2008, Isuzu stopped production of the Ascender. GM's GMC Terrain replaced the Ascender in North America. These vehicles shared many of the same risks for rollover accidents that other SUVs shared, and were particularly dangerous in the full-sized, seven-seat models. If a driver attempted a turn that caused the vehicle's center of gravity to shift or was involved in a side-impact accident, it was possible for these vehicles to completely roll over. As a result, the motorists inside the vehicle could be severely injured. 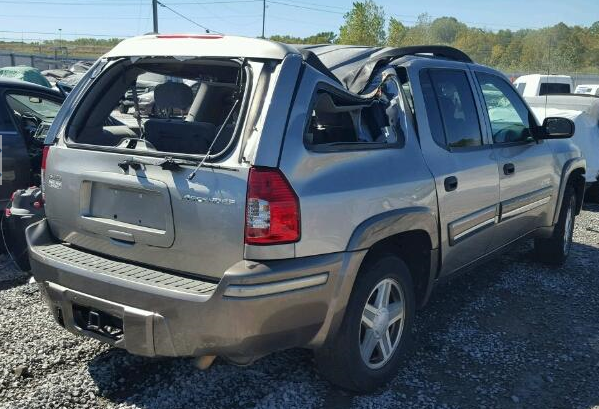 The Isuzu Ascender suffers from many of the same rollover hazards as other SUVs. In particular, the high center of gravity in the vehicle makes it particularly susceptible to toppling over in a sharp turn or a side-impact crash. If the vehicle's top is pushed or pulled in such a way to cause the vehicle to tilt towards the ground, the center of gravity can actually drag the vehicle downwards. As a result, the motorists trapped inside may sustain severe injuries due to the relative lack of safety devices to protect motorists in the event of a rollover accident. In addition to problems with a high center of gravity, any number of mechanical errors may be responsible for a rollover accident. Although these errors are not necessarily common, defects with the brakes or steering can be factor into a motorist losing control over their Ascender, and the vehicle rolling over as a result. As the Ascender suffers from similar design concerns as other SUVs, it also ranks similarly to other mid-sized and full-sized SUVs. According to the National Highway Traffic Safety Administration's five-star ratings, the Ascender's high center of gravity contributes to a mediocre three-star rating for the two-wheel drive model. The four-wheel drive model fares better for the Ascender, as it does for similar GMC SUVs, with four stars in the NHTSA's tests. These ratings reflect the relatively significant likelihood of a rollover accident under the right conditions in the Isuzu Ascender. Although properly functioning stability and control systems can prevent some accidents, the design of the vehicle illustrates a serious safety concern. If you have been injured in an Isuzu Ascender rollover accident, we may be able to help you pursue financial compensation for your injuries and suffering. For a no-cost, no-obligation case evaluation with an experienced attorney, contact the Willis Law Firm today by calling 800-883-9858.